In order to retain customers, businesses need to continually deliver new, improved and integrated experiences, both in the physical and digital realm. To that end, as part of undergoing a digital transformation, how are organizations leaning back and rethinking innovation, service delivery and integration? While enterprises apply innovative technologies for critical operations, legacy systems need to be continuously upgraded as well. Digital transformation is critical but is ineffective without employee efficiency that ensures integrated service delivery. Data collation and mining it in a structured manner should guide the focus of this transformation. How social media can be a touchstone as well as propaganda for great banking service initiatives. If we are to get a great branding and customer retention, is it when we consistently meet customer’s needs or offer them a periodic wow experience? The digital transformation of services is about consistency, it’s the occasional wow, and it’s the continuous commitment to delivering on the capabilities that customers are asking for. What are the other factors undermining service delivery and how should service delivery be optimized to help with customer retention? In an increasingly competitive market, customer retention can be driven by constant innovation and sustained, secure delivery of services. But an integrated experience is the most impactful tool for customer retention. Digital transformation allows a seamless, integrated and device agnostic customer experience. Faster delivery times, better DevOps and leveraging technologies that allow an agile experience- are the order of the day. While there is enough technology out there, integrating it into the business process and company culture is what will be key to better, faster, more focused customer delight. And this business- tech integration needs to be driven bottoms up. Companies could benefit from incentives and recognition programs to drive the change – that’s when the real customer retention will happen. Sanjog Aul: Today’s talk is on “Lean Back to Retain Customers.” I have with me Kirsten Garen, Senior Executive Vice President and CIO, Bank of the West and Jamie Armistead, Executive Vice President and Head of Digital Channels, Bank of the West. In today’s competitive environment, retaining customers is key. Businesses are trying to deliver new improved and integrated experiences both in the physical and digital work, and this requires transformation. So Jamie, what digital transformation activities are imperative to retain customers, which should be considered as a priority? Jamie Armistead: Customer expectations are changing very, very rapidly, not only in financial services but in everyday life. We are all using our mobile devices for virtually every aspect of our lives. They are somehow impacted by the mobile devices that we’re carrying around, and those expectations are bleeding over into financial services. They expect experiences to be much easier and more fluid, and to be able to do everything on their mobile device. So, we’ve certainly had a strong bias at Bank of the West over the last several years toward mobile. We definitely have that mobile-first mentality, and I think from a customer perspective, we are looking at the full suite of capabilities, remote deposit, and full transaction capabilities. We are also seeing increased activity in product research and sales activity coming through mobile. So, definitely, those are key aspects of digital transformation. Customers expect experiences to be that much easier and more fluid. They expect to be able to do everything on their mobile device. From more of a company perspective, we’ve really tried to transform ourselves to recognize that digital is really forever. You’re in this game forever, I mean building up the organizational capabilities both within the business side and the technology side, and being able to deliver on this on a sustained basis. Because the competitive differentiation in digital world lasts about six months, and it takes no time at all for someone to copy you. When we look at what other FIs are doing what’s happening in the marketplace, we want to be able to copy the best ideas ourselves, and that’s more about having the organizational capabilities in place. Kirsten Garen: In our technology groups, we spend a lot of time with not just our internal business partners, but with our customers, and also on best practices. While we know what’s happening in other industries and other banks, but there’s nothing quite like spending time with our commercial customers, our retail customers, or spending time in a branch to see what changes they’re looking for. I think they want fully crafted new services and solutions and time to get used to the new experience. So, it is valuable for our organization to really be out there with customers to understand what they’re looking for. It is valuable for our organization to really be out there with customers to understand what they’re looking for. Sanjog Aul: So, the very fundamental question here is, what leads to customer retention. So Kirsten, if we are to really get a great branding or, if you will, customer retention, is it when we consistently meet customer’s needs or offer them a periodic wow experience? Kirsten Garen: As a good partnership we have with our business partners, Jamie and I talk a lot about this, and my goal is of course to provide a consistent, secure, reliable service. We’re in the banking business; our customers want to feel comfortable interacting with us regardless of channels. So obviously, consistency of experience is table stakes basically foundation. I think it’s certainly true that they’re looking for continuous improvement, new features, and services over a period of time. I think that the promise is to have a roadmap of continuous improvements that they’re looking for. Jamie Armistead: We’ve got some good credit. We have various programs in place that monitor voice of the customer- survey mechanisms, feedback mechanisms or from our digital properties. We’re monitoring what people are saying in social media, and those are all impacting and influencing what we bring to the market. One of the most satisfying things is when we deliver what somebody has asked for or made mention of a capability in social media. It’s great when we get the positive reinforcement expressing happiness and positivity that extends to their friends and their social network. As Kirsten says, it’s consistency, it’s the occasional wow, and it’s the continuous commitment to delivering on the capabilities that customers are asking for. Sanjog Aul: So Jamie, when we look at all that you mentioned, and you mentioned that if there’s a new technology or tool or something cool that has been offered, it has a lifecycle or lifespan of six months and something else can be brought out, or someone else can repeat or duplicate it. So, what do you think seems to have the most impact? Is it an ongoing influx of innovative products or services or would you fundamentally look at the improved service delivery or even beyond that and integrated experience throughout the customer lifecycle, because we are not talking about point problems or point solutions, it’s an experience, and the customer looks at experience across all touch points? Jamie Armistead: I think the consistency of the delivery of your services is the table stakes. You want to make sure that you’re delivering consistency and that you have your capabilities there every day on time. But I would say over time; the expectations are moving more toward that integrated experience throughout the customer lifecycle. I think customers are expecting us to know things, that we understand what counts and the full breadth of their relationship. They may call in with a question about something that happened on their checking account, but they fully want us to recognize that they also have a credit card with them and that they have a home equity loan with us, et cetera, and so their expectations have shifted. And I think some of it is that the integrated experiences that they’re becoming accustomed to through the rest of their lives. I think customer expectations are shifting and today it’s more about that integrated experience over time. I would say over time; the expectations are moving more toward that integrated experience throughout the customer lifecycle. Kirsten Garen: I want to add a perspective though because I think one of the things we often talk about is it’s the right set of products and services for the right customer at the right time. So, we spent easily over $100 million dollars just in the last few years on data analytics particularly for across channels, how we are customers using different channels, what services do they seem to use the most often. So, I don’t think a one-size-fits-all. What is the most important thing for a millennial might be quite different from for a baby boomer, and we really want to understand each customer and try and offer up a tailored customer experience? What is the most important thing for a millennial might be quite different from for a baby boomer, and we really want to understand each customer and try and offer up a tailored customer experience? Sanjog Aul: So Kirsten, if you needed a consistent stream of such innovation, you have to listen effectively, and you should have fresh thinking and experimentation with a small fail-fast approach, which is the mantra which most organizations are trying to follow. But in order to institutionalize innovation don’t you think this discipline must be applied to the rest of the application development supply chain, which could include infrastructure, configuration, automation, and security and compliance testing? Where do you think we are in this segment of the journey? Kirsten Garen: DevOps obviously is a very hot area of focus for any technology organization in any industry. We have the closest true DevOps model where we are doing continuous integration and testing, very frequent releases, smaller set of changes, iterating with getting customer feedback. We have a different approach for different businesses depending on what their strategic roadmaps look like. Everybody is focused on how we can create much, much faster cycle times from idea to launch. However, no one does pure waterfall anymore. As I talk to other CIOs, across industries or in financial services, we’re trying to use the best practices for iterative development, methodologies if we can across every single big project. So, it might be something simple like we iterate faster on business requirements and we don’t wait until it’s all done, or it might be daily check-ins, daily stand-ups. So, there are different practices that I think help us create this faster cycle time. We, of course, have a private cloud. I think most financial services organizations probably have moved to an internal private cloud. They can provision servers faster to your point about the ops side of this, not just the dev side. In many cases, we use external cloud providers for specific sets of software services. So we have an end-to-end process and a faster cycle time. So, there’s a lot happening on this front. Jamie might comment on the model we have in digital specifically. Jamie Armistead: Kirsten certainly touched on a lot of the technology side of it. The other pieces that we put in place early on, when we started to make a more deliberate effort toward our digital capabilities, was creating partners around the organization. Because we’re a financial institution and working in a heavily regulated space. We have operational risk partners; we have compliance partners, we have legal partners that are all part of that delivery equation and evaluating and signing off and ensuring that everything we’re doing is in a compliant fashion. So, we aligned with those groups to have dedicated team members who really have an eye toward digital, understand what we’re trying to do and are there as partners trying to help us succeed and not the kind of a committee of null. So, I think it takes some time to transform those aspects of your organization as well. 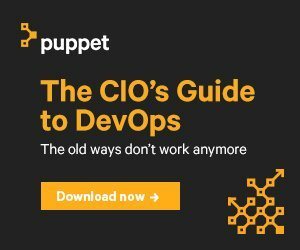 We can do a lot on the technology side, and get down to where we have a software development lifecycle that’s churning and more highly iterative, moving to agile, but if you don’t have the other pieces of the equation in place, you’re going to kind of fall back to a waterfall at the tail end in trying to get things out the door. Kg; You started with innovation though, and how we continue to make sure we have a stream of customer-centric innovation ideas. There’s another part of our organization that is focused on that that we participate in. So, we do a lot of sandboxes for FinTechs. We go through a process of meeting with FinTechs on a regular basis through some organizations we have in place. You probably know Bank of the West is part of the larger organization, BNPP that we participate in annual hackathon so that we’re hearing from firms that are actually pitching very specific solutions that can make sense for our customer base, retail largely and some commercial opportunities as well. So, we’re lucky we’re here in Silicon Valley, we have a big parent company that’s doing interesting things around the world. So, we have all kinds of different ideas to sit through and figure out what might make the most sense for our customers and are continuing to test and learn in addition to this consistent roadmap of improvements that we deliver for our customers today. Sanjog Aul: Now, speaking about innovation, at the very basic level, would you think these are some of the core things which we have to put in place so that we have a predictable foundation for digital transformation. So, how much value do you place on something like that? Kirsten Garen: It’s absolutely critical. The last thing you want is to have a terrific idea speed through your devs and process and then not be able to implement successfully or test quickly and get the product to market. So again, I think from a financial services perspective; we tread slowly towards full internal cloud so that we can do this internal provisioning and mimic a lot of what external card providers do on the configuration and the testing and launch front, very successfully. Our cycle times used to be months, now they’re days, in some cases hours for digital, because we have a stable environment. We’re able to get that cycle time down to hours because it’s not changing. So, I think that’s probably the most important aspect of being able to truly automate the operation side of the DevOps equation. Sanjog Aul: Jamie we know that this service delivery performance is critical to brand loyalty and customer retention. Performance leakages occur when we are not adopting processes and process related changes quickly enough, and we know that employees remain consumed in manual and unnecessary work instead of focusing on the core and important tasks. So, what do you think are the other factors undermining service delivery and how should service delivery be optimized to help with customer retention? Jamie Armistead: Well, I think you have weighted into the heart of the matter at any regional bank. I have been talking with different peers across the industry we all struggle with this, in part because there’s so much that goes into service delivery for our customers, and so many of us have legacy systems that we’re trying to modernize. We’ve made more progress in our digital channels area than we have in some other areas of the bank. So, I think you need to look at where you are having the most immediate customer impact. I think digital was the obvious choice when we started that journey four years ago and we’ve really done a great job modernizing our solutions there. But our branches at this point have some challenges. If you’re a customer completing or trying to complete a transaction, I think you should be using digital, but if you’re there watching the banker kind of fumbled between screens and have to switch between applications, then that type of experience frustrates both the banker and for the customer. So, it is a pretty short list of where you need to focus your attention. But I think we’re in good company, it’s a journey, and we’ve got a lot of work that’s been done, and heat mapping where our systems are. It’s the most critical need in terms of modernization, and we’re getting after that now. It’s something that doesn’t really end. It’s just part of how you manage the operation, and you look for where you’re going to have the biggest impact. Kirsten Garen: I would add frictionless is the mantra these days, frictionless employee work experience, frictionless customer experience, where is the heat, where is the friction that we need to eliminate. It’s interesting, because we’ve been after it, called different things, re-engineering and productivity work for the past decade, but there’s a real acceleration of the work on this front, because of some of the technology products are out there. I know of course we spent a lot of time talking about robotics these days, but there’s much other business process management, customer relationship management, there are a lot of other software tools that are accelerating, I think better service delivery internally and externally. But I am interested in the second part of your question because we spent a lot of time talking about one of the other things that help our employees focus on the customer and that’s service delivery experience. I think it has a lot to do with culture and our incentives, our recognition program, our communications programs that are really all in support of customer first. That’s something that the bank has focused on for a 100 plus year history, and it continues to be a focus with our new CEO. I think that’s just as important as advertising and communicating to our employees with the roadmap for what these frictionless experiences look like. I know of course we spent a lot of time talking about robotics these days, but there’s much other business process management, customer relationship management, there are a lot of other software tools that are accelerating, I think better service delivery internally and externally. Sanjog Aul: Interestingly Jamie, when we take a snapshot of how the service delivery is being done, and we can go to a degree in terms of making it frictionless as Kirsten mentioned. Now, since we are trying to do this digital transformation and you want to bring new ideas and new ways of servicing customer, that’s a disruption to that snapshot. Now if you or your people don’t adopt those process related changes quickly, that’s where the leakage happens. So, is the focus on just keep doling out new things and on the other hand offsetting it? We know that it’s going to offset otherwise any value that you’re creating with new because of the leakages. How do you prevent that leakage? Jamie Armistead: Well that’s where we are making the investments. I mean the customer-facing aspects of it are highly visible and the things that we spend most of our time talking about. But the truth is, we are making equal if not more investment, right now in the systems that our employees are using the service our customers. So, we can’t look at friction solely through the lens of the customer experiencing the friction. If your employees are experiencing the friction, that’s a problem too. We need to acknowledge that we’re in an industry that has the relatively high turnover rate at the base level. That’s not unique to financial services, any kind of industry that has a contact center based component to it is going to have a degree turnover. If you look at the complexity of the system that we expect people to become proficient on before they can actually service customers, that time to proficiency is real hard dollar-cost. So, if you are associated with the customer-facing system delivers better experiences that take friction out of the equation. That’s a large part of how that’s coming into play. We can’t look at friction solely through the lens of the customer experiencing the friction. If your employees are experiencing the friction, that’s a problem. Sanjog Aul: Kirsten, if you were to map the type of the tenets of integrated customer experience across the physical and digital realm, to where they would actually increase the customer retention, what would they look like? Kirsten Garen: I think what’s most important, is providing a very consistent experience. So, whether you’re sitting in front of your laptop, you’re traveling with only your smartphone, or you are in the branch talking to one of our customer service staff members, you should feel that doing it a positive withdrawal fund transfers, your basic transaction works the same way regardless of what channel and whom you’re interacting with. It is probably the most important thing that you feel; you understand how to navigate all of your products and services offered by Bank of the West across channels. And that again is omnichannel; it is the Holy Grail for service organizations across industries. But clearly with banking when you talk about the ones that are foundational, it’s those that you’re doing each day, each week, each month. Sanjog Aul: And Jamie what core processes do you think we should set in stone and automate to eliminate daily fires so we can focus on this integrated customer experience? Jamie Armistead: Well, I would say, fortunate I don’t know that we’re in the daily fire mode, so I don’t have anything that’s immediate. Kirsten mentioned some of the robotics. I think we’re looking at in terms of the friction. It’s not really a daily fire; it’s just more of the ingrained friction. Some of today’s processes like robotics are opportunities to address that in the short term, if not full system replacement, that will take much longer. Sanjog Aul: And would you automate certain areas of the processes so that time is saved and the same people can do more? Jamie Armistead: Yes, anything that one of the core elements that Kirsten mentioned is an investment in customer data. A key component to all of this is the consistency of customer data across the systems and platforms. So, if you can eliminate any need for that re-entry or ensure that they’ve got the visibility of the full customer relationship, then the bankers are spending more time on the quality of the relationship and the quality of the conversations that they’re having with customers and less on the pure transactions side. That is less work in terms of accessing multiple systems through the account opening process. So, taking those points of friction out, customer data is a key part of delivering on that. Sanjog Aul: And Kirsten, when we look at integrated experience, they are of course going to provide you great performance and great seamless or frictionless experience, as you have used as a term. Now, we also want the nimble approach to such experiences, because you will have some customization required for a certain set of customers or certain branch or maybe giving the local responsiveness. How do you make it integrated and also at the same time keep nimble? Kirsten Garen: I think Jaime got to the heart of how we’re trying to do that. And so, there are two ways. One is still high touch, it knows enough about these customers, and we’ve automated enough with the routine so that we can use our customer service staff time to reach out personally. Again that’s been our greatest advantage of Bank of the West, the ability to touch customers and create that kind of emotional connection. To be sure that we’re offering what they need specifically, that personalized experience. The other thing is data mining. So through the process of doing all these normal transactions and mining that data, it becomes clear that there might be other products or services that would better meet the needs that the customers are interacting with. The way we offer that might be through online, or any one of our digital channels or it might be through a person, but I think that nimbleness is data mining quickly, as close to real-time as we possibly can to see how our customers are interacting with us and where they get stuck. Through the process of doing all these normal transactions and mining that data, it becomes clear that there might be other products or services that would better meet the needs that the customers are interacting with. Sanjog Aul: Jamie if you were to look at leadership and organizational culture, we know that besides having that leadership and culture in terms of the quality, we also need to give some breathing room to the very people who work tirelessly from 9 to 5 so they get the time to sharpen their saws and execute on the strategies, which would lead to this effective customer retention. Jamie Armistead: Well, there’s a lot to that, and the leadership change in organization or culture does not happen overnight. At the Bank of the West, we are focusing on a more collaborative culture. Kirsten mentioned getting closer to the business side; we’ve been fortunate to have a really good partnership between our digital channels organization and the technology team that supports us. That’s a model that we’d like to extend to other areas of the business. Then it will be a partnership, and business will not be working in a silo and in demand a set of requirements to technology and cascade it that way. We have to be able to break that down with technology at the table, understanding where the businesses are trying to go and helping figure out how to get there. I’d say on the flipside, significantly increasing the technical acumen that’s resident in the businesses is part of that cultural shift. That won’t happen overnight, but I jokingly told our large audience at Bank of the West that you should focus on hiring more engineers for your businesses and less finance manager. That I think that would go a long way and that may be something that happens ground up, but we need to have the technical acumen in our businesses, so that were able to communicate and really dimension these things because there’s no shortage of ideas out there. It’s the speed with which we deliver them that is going to be the gating factor. We need to have the technical acumen in our businesses, so that were able to communicate and really dimension these things because there’s no shortage of ideas out there. It’s the speed with which we deliver them that is going to be the gating factor. Kirsten Garen: I would tap on because I agree there is kind of a couple aspects on the innovation front, just the tech end of that. Again, working with these accelerators and the FinTech, getting these hackathons, getting as many of our folks involved and sharing the idea is kind of what their appetite for what the future holds. It helps us to change rapidly and encourages our business folks to learn more about emerging technologies. This is with the promise that well we might be moving at a measured pace. There’re some very cool things that are ahead in our future for our employees and for our customers. So, I think that’s really important. But the other part is the fact, the culture, and leadership, it’s top-down and bottom-up. So you need to set the tone at the top, that we are a customer-rated organization, that we celebrate delighting customers. If we highlight those examples and listen to our customer-facing staff members each and every day, they have as many good ideas as we do in corporate headquarters, that’s really equally important. Then we can have incentives and recognition programs aligned. Sanjog Aul: Thank you so much, Kirsten and Jamie, for sharing your thoughts and insights about how organizations can lean back, reaping innovation, service delivery, and integration as part of the digital transformation, and achieve effective customer retention.